Finding ways to save money in your budget doesn’t always have to be extreme. Sometimes all it takes is small consistent new habits to make a big results. 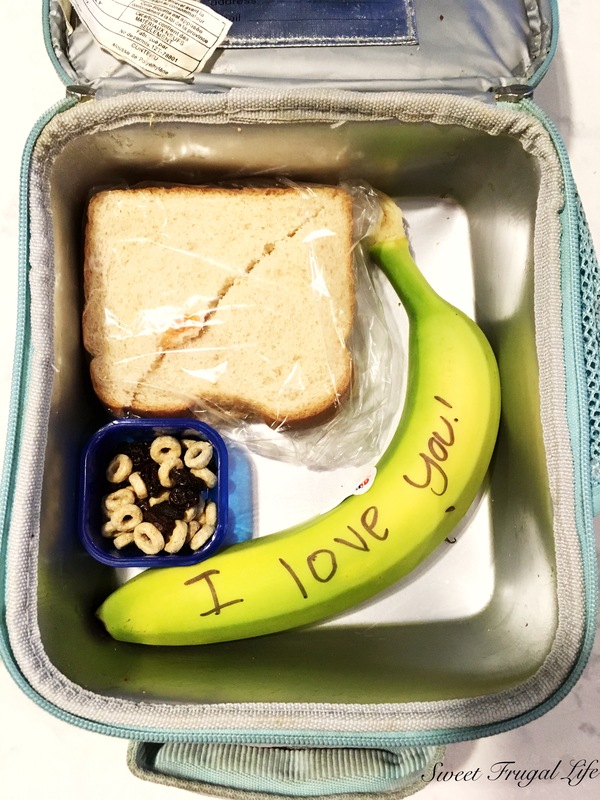 We decided that instead of having my husband go out to eat lunch with his coworkers every day we would instead pack him a lunch to take. He usually has leftovers from dinner and some fruit or a salad, sometimes he will make himself a sandwich. I added up how much this saved us over a year. I estimated we spend about $3 a day on the lunch he takes to work. He works approximately 250 days out of the year making it $750 spending on lunch. If he were to go out to eat with his coworkers we estimated he would spend about $7 (which is LOW balling it!) a day making it $1,750 a year for lunch. 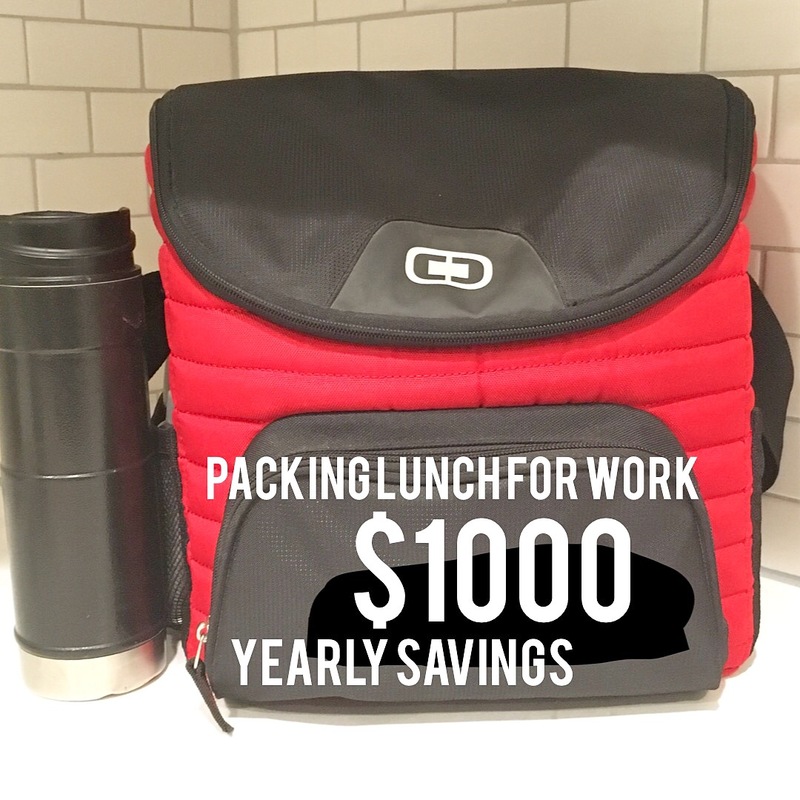 So, just by packing a lunch for work we are saving $1,000 a year! Think about this savings in long term value. In 5 years we have saved $5,000. In 10 years we have saved $10,000! The savings over time is huge! Imagine if I did the same thing, the amount would DOUBLE! 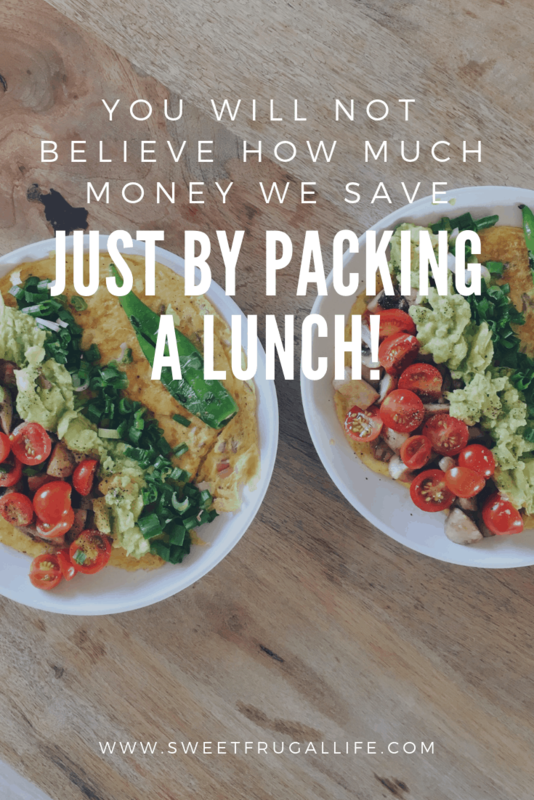 If you have school aged kids you can also save a large amount of money if you pack them a lunch instead of having them buy a hot lunch at school. I spend about $1 per kid for each lunch I pack them. I have two school aged kids so that comes to spending $80 a year on school lunches for them. If I were to buy a hot school lunch the total yearly cost would be $220 a year. So by packing them a lunch we are saving $140 a year. This isn’t a huge amount, but Every.Single.Dollar makes a HUGE difference when you are on a budget. These are our two easy secrets that have saved us over a $1,000 a year. By the time all of my kids will have graduated from high school it will be over a $15,000 savings! What lunch money saving secrets do you have? If you are interested in more ways we save money each year check out my article: What we cut from our budget to save over $2500 a year. I love this idea! My husband does the same, as did I when I was working! I love how you crunched the numbers! What a huge savings!! I love seeing the long term savings! It can make a big difference in your perspective! Wow! Great advice. Really makes you think about what you actually spend during the year. I almost always pack my lunch, it does save so much! Also it makes the occasional lunch out seem like such a treat. Yes it does! That is a great point!! 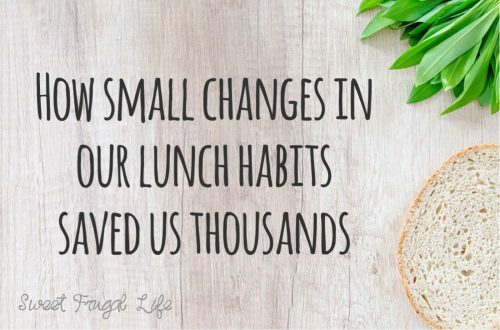 It’s hard to believe packing your lunch each day can make such a difference! I made an effort to pack my lunch every day and it’s great to know it’s worth it! We do the same thing. My husband loves eating PB&J EVERY DAY at work! He’s crazy. It saves us a ton of money and I get to eat the leftovers. Sounds like you got the right end of the stick! ? It adds up quicker than we think sometimes!